Beerhouse Self Drive Hire's expertise lies in vehicle hire & fleet management, within the corporate market place. We pride ourselves on making the rental process as easy as possible. 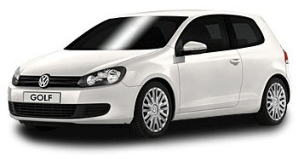 We provide vehicles from 1 day rentals through to 12 months and sometimes more. We offer complete rental solutions. From renting vehicles on a daily basis, to supplying large quantities of vehicles for project work, as well as bespoke vehicle hire, including chauffeur driven services. Our customer portfolio consists of large blue chip organisations, local councils, small to medium size businesses through to sole traders and start up businesses. as well as 15 and 17 seater minibuses, of which some of these have wheel chair access. We have a team of full time delivery & collection drivers on hand to respond to any emergency deliveries & collections. We usually aim to have a vehicle delivered, to your home or workplace, within 2hrs of the booking being placed. Our team of rental operatives are all trained to BVRLA standards, which means they are always on hand to process all rental, fleet and maintenance enquiries. They can also run regular updates for your fleet department so that you can see the types of vehicles ordered, mileage driven and quarterly spend to help you monitor your running costs - crucial in today's climate.